A city with more than 3000 years of recorded history, a fast-approaching future and an ever-changing present, Beijing is a bit of a jackpot for experience-seeking travellers. The fact that somehow this poster-city of speedy development has retained such strong remnants of its past means all good things for tourists: sleek fine dining haunts with views over the historic Forbidden City, for example, or contemporary, design-focused boutique hotels set in traditional courtyard residences. In this city full of contradictions, the surprises are endless. While Beijing remains somewhat elusive as a travel destination—a sprawling metropolis packing in 21million people isn’t necessarily your first thought when planning an escape on what minimal annual leave you might have—it’s got much more to offer than people often perceive. Here are 11 reasons to visit Beijing. You might have to venture pretty far from central Beijing to get there, but the 798 Art District will reward your effort tenfold with pop-up galleries, international exhibitions, working artists’ studios, bookshops, design and publishing houses and awe-inspiring architecture. The district is made up of a labyrinth of decommissioned military factories with distinct architectural styles, which were taken over by an emerging artistic community in the late 90’s and formally reimagined as the 798 District in 2002. Perhaps most famous as the home of artist, designer and activist Ai Wei Wei (you know, the guy who designed the ‘Bird’s Nest’ for the Beijing Olympics? 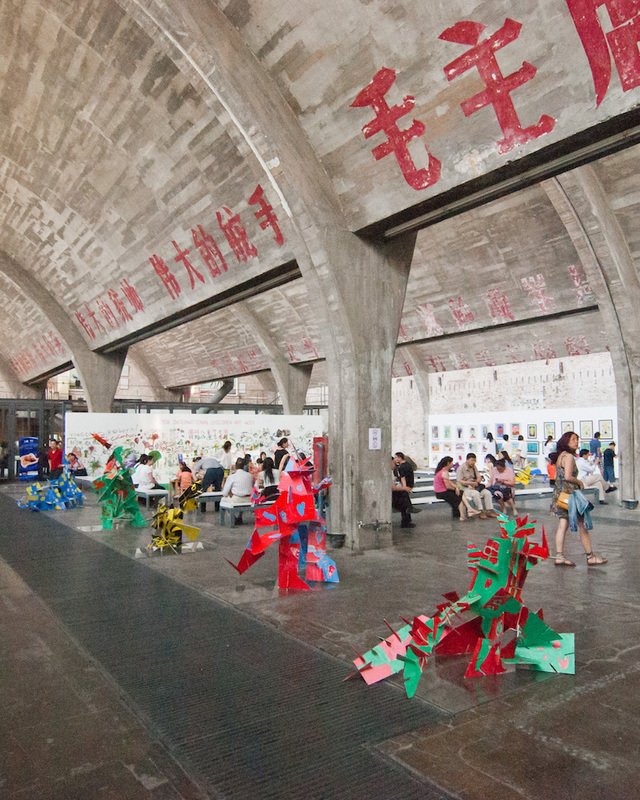 ), the dedicated art zone represents China’s cutting edge art movement and is a place where social commentary, activism and self-expression seem to find sanctuary. The district is also famous for its special events and late-night parties, particularly of the LGBTQI+ persuasion, but is equally as enjoyable on a quiet afternoon—with free entry to almost all galleries and studios to boot. Don’t forget your camera. Beijing is unique for many reasons, but chief among them is the city’s iconic hutongs—narrow, winding alleys and streets that wrap around traditional courtyard residences and, today, form the inner-most neighbourhoods of Beijing. The hutongs are where old and new meet: Wudaoying hutong, for example, leads down to the Lama Temple built in 1694, and is full of boutique shops boasting emerging designer clothing, ceramics and art, trendy bars and specialty coffee shops, plus leafy overhangs and some seriously ‘grammable exteriors. You could wander for hours getting lost in the hutongs—stumbling upon random vintage shops and concept stores, lusting after luxurious homeware-adorned window displays and consuming an array of teas, coffees and treats—but if you want to map your hutong visit, there’s a couple that you absolutely can’t miss. If you’ve done your research, you’ll probably base your stay in the Andingmen district, just inside the second ring road—one of the most beautiful and exciting hutong areas in the city. From here, you can explore an open-air food market down Nanluoguxiang, trying everything from chicken feet to sesame sweets—but prepare for tourist mayhem. Be sure to veer off down Yu Er and Mao Er hutongs for some slightly quieter pleasures, and head to Guozijian Jie for some of Beijing’s best boutique shopping. The area south of the Forbidden City is territory less-trodden by western tourists, but Liulichang and Yang Mei Zhu Xie Jie hutongs are essential stops. Historically, Liulichang was the go-to for calligraphy and art supplies, and a meeting place for poets, scholars and writers. Today it’s much the same—there are a few genuine stores selling such supplies, plus slightly more touristic shops selling artwork, antiques and books—in fact, you can even watch masters at work doing calligraphy, and explore Beijing’s largest second-hand and ancient bookstore. Liulichang boasts uniquely traditional architecture from the Ming dynasty, and, if you meander long enough, silently turns into Yang Mei Zhu Xie Jie—a quiet byway where you’re just as likely to catch an old man sunning his stomach as you are the latest young designer’s pop-up warehouse sale. If you visit in the late afternoon, Yang Mei presents plenty of opportunities for a beer and dinner at the end of the day (read: Suzuki Kitchen). If you’re not in it for the mind-boggling history or the vastly different cultural experience, you must be in it for China’s insanely tantalising foodscape. From humble food like Jianbing (Chinese pancake), spicy eggplant and belt noodles eaten roadside, to all-out banquet feasts in grandiose duck houses, to hyper-contemporary fine diners, there’s some serious ground to cover when it comes to eating in Beijing. Some of the best meals you’ll have will be in the most unassuming of places, so be adventurous—look around at what locals are eating and point to what you like, and if all else fails: order the eggplant (茄子).But if you’re a foodie, there’s a few places and dishes that make for essential eating: roast duck at Jingzun or Da Dong, rainbow-hued dumplings at Baoyuan Jiaozi Wu, Sichuan hot pot at Haidilao and knife-cut noodle soup at Tak Yong, just to name a few. 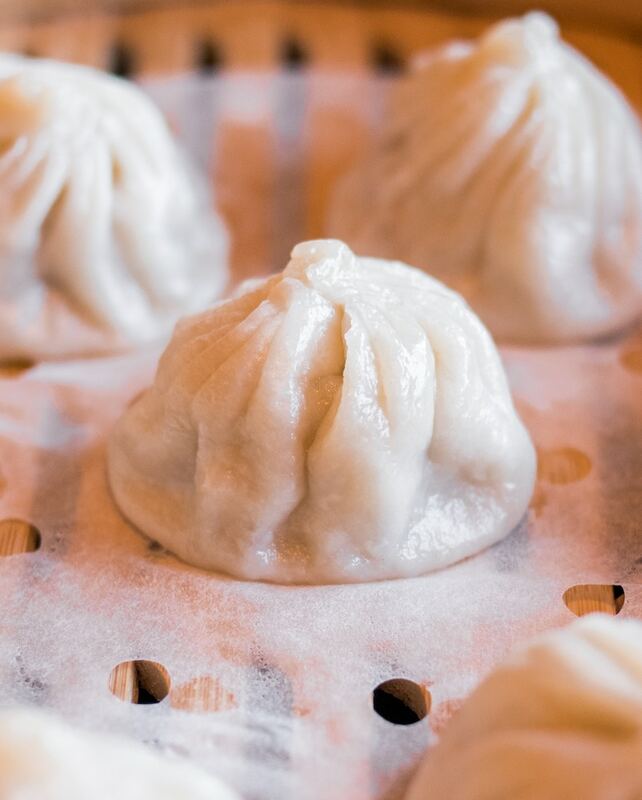 When you’ve had your fill of carbs and oil, Beijing also boasts a number of contemporary Chinese and western eateries that should be on your hit-list. A delicious set-menu of shared dishes from Yunnan province await you at the charming Dali Courtyard (think grilled chilli fish, stir-fried mushrooms and wild vegetables), and low-key Japanese comfort food is the main game at must-visit Suzuki Kitchen, which has a couple of inner-city outposts. For the fine diners, Temple Restaurant is French sophistication set in 600-year-old Chinese tradition, complete with Forbidden City views. Much like the new-wave coffee scene, Beijing’s craft beer industry has taken off in recent years in the way of contemporary microbreweries and rollicking brew pubs, which are worth their weight in liquid gold in a country previously dominated by the likes of Tsingtao. For heady, frothy pint-pulling and pub eats, head straight to where it all started: Great Leap Brewing, who boast but three outposts that they’ve no trouble filling. For something more intimate and complete with cocktails on tap for those non-beer drinkers among us, Jing-A Brewing Co. in Sanlitun offers a bunch of core and seasonal beers on tap, plus cathedral-high ceilings, exposed brick and dangling bulbs that send Jing-A’s ambience score into double digits. Arrow Factory Brewing also offers a classy taproom and open-air deck for the tasting of China’s finest, and Slow Boat's three-storey Sanlitun brewpub is a theatrical-doing of the hallmark beers and burgers combo that you won’t regret indulging in one bit. There’s a common misperception that you can’t get a good coffee in Beijing—while this is true for most of China, its capital city is strides ahead. The hutong areas in particular are dotted with so many gorgeous cafes that you could spend a whole day visiting them all, flooding your Insta feed with enviable shots of exposed brick, copper fittings, lush greenery, and white ceramics. 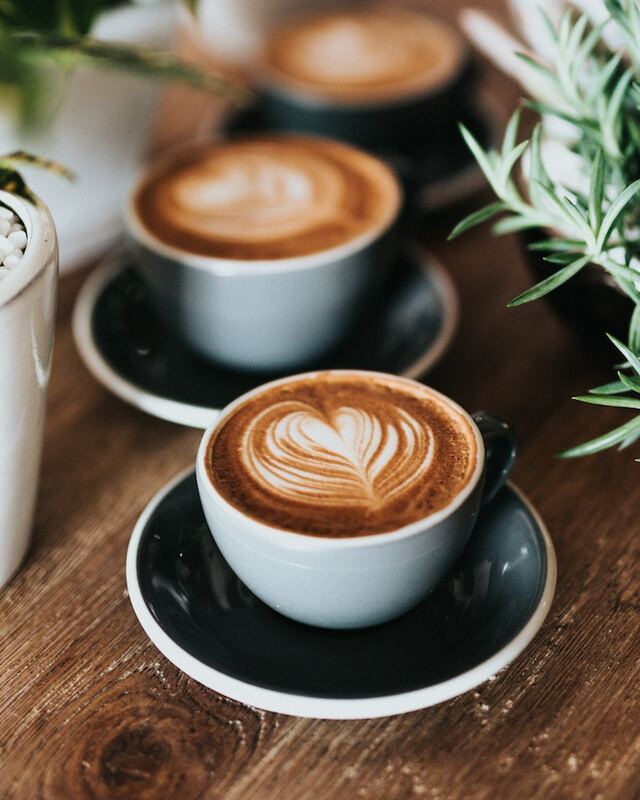 But these spots aren’t just kind on the eye—they’re serving up some expertly brewed coffee with a meticulous penchant for detail and quality. Among the best places to get your caffeine fix are Metal Hands (they’ve got two outposts: one in the buzzing Wudaoying hutong and another far quieter and more spacious spot in Jiaodaokou North 2nd Alley), the industrial chic Corner Cafe near Ditan Park and Voyage Coffee, a specialty coffee-laden sanctuary at the northern end of touristy Nanluoguxiang. Bring a book, you’ll want to stay for hours. It’s no secret that the consumerist culture in China is without peer, so you won’t be surprised to hear that there are an almost overwhelming number of opportunities to haemorrhage cash while in Beijing. The obvious first stop is Wangfujing Street, which runs down basically the entire eastern side of Beijing’s first ring, dominated by the elaborate facades of shops like Adidas, Zara, and the Japanese shop of cult-status, Miniso. A shopping trip here isn’t complete without veering off into the Wangfujing Food Market to fuel up on some bonkers snacks (read: live insects on sticks). The more high-end shopping takes place in Sanlitun and the Xidan commercial district, which both make for pretty exciting outings if you want to really take in Beijing’s incredible scale. If boutique shopping is more your thing, stick to the hutong areas. Beeline for Triple Major in Yang Mei Zhu Xie Jie, White Is Good and Paint in Guozijian Jie to suss some of Beijing’s trendiest designers of the moment. If you want to choke on lush homewares, head straight to Lost and Found and FNJI in Dongcheng, while bookworms should not miss Qianmen’s Page One, a spectacle even for the illiterate with its multi-floor-spanning bookshelves and sleek access staircases. 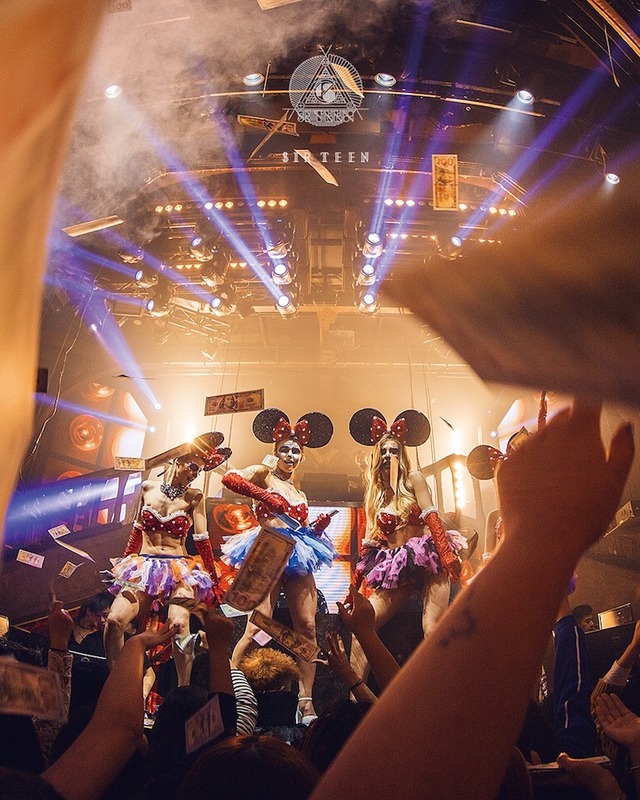 Despite suffering a slight neutering over the last few years, Beijing’s night-life is alive and well if you know where to go. For those favouring a well-crafted cocktail, one of Sanlitun’s many upscale bars should do the trick: try Mesh, which is housed in the very chic Opposite House, a boutique hotel that’s good for more than just sleeping. For something a little more fun, La Sociale delivers an eclectic but vibrant mix of South American beats, fish-bowl cocktails and coloured lights—if you can see the walls for the sardine-packed bodies, they’re adorned with a collection of communist and Catholic regalia that pitch the joint somewhere between kitsch and cool. Late-night jazz is also an option at Modernista, a charming little two-storey Art Deco joint that’s inadvertently adopted a speakeasy-style after their front doors were bricked up in a recent governmental city sweep. Of course, there’s always the Sanlitun super clubs for the bottle-popping party crowd—Club Sir.Teen is a standout for their electronic music, light shows and impressive entertainment, while the likes of Lantern and Dada offer something more underground, from disco and house, to techno, funk, hip-hop and afro beats. One of Beijing’s more distinctly Chinese nights out takes place in Hòuhǎi, an area comprised of three lakes joined by bottleneck bridges and flanked by willow trees. During the day, the area tends to heave with locals—mostly elderly people using the many public exercise machines and playing highly competitive rounds of table tennis in summer, or ice-skating in winter—and tourists circling the lakes in rent-a-pedalos. But by night, the area turns into a popular nightlife spot complete with rickety rooftop dive bars, bustling novelty restaurants and the all-important blinding neon lights. While there are a couple of diamantes in the rough if you meander down the hutongs further back from the water’s edge, drinking and dining here is more on the tacky side of tacky-chic—and that’s kind of the point. If you don’t want to hear live bands busting out Chinese versions of Bon Jovi songs, you’re in the wrong place. The Great Wall of China looms large on many-a bucket list, and so it should—this enormous feat of engineering and workmanship is not only a vestige of a past era but also a spectacular sight to behold. It’s possible to make a day trip from Beijing to the Great Wall, and you’ll regret it if you don’t! 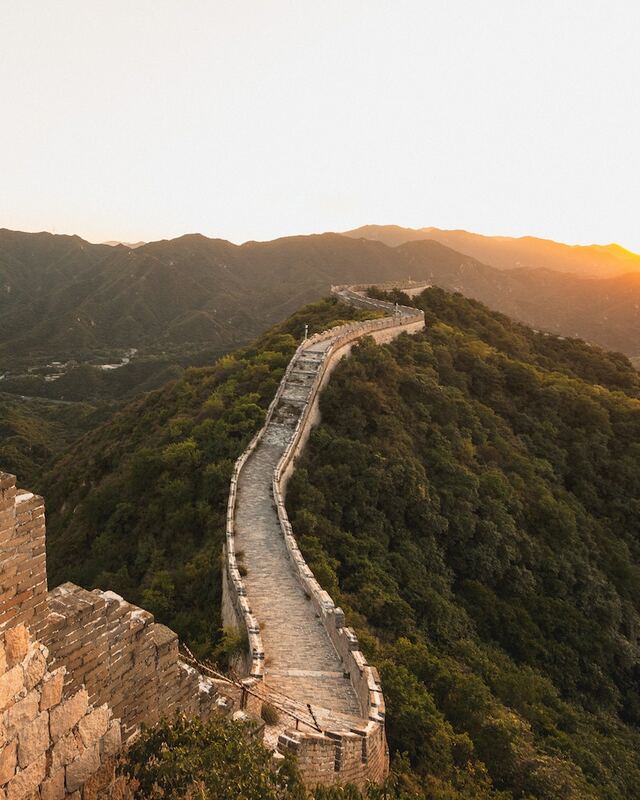 Multiple parts of the wall are accessible from the capital, the most-visited of which is Badaling—a very well-preserved stretch of wall that offers cable car access and some of the best vistas going around. Another option is to book an overnight stay in the charming little water town of Gubeikouzhen, from where you can visit the partially-restored Simatai section of wall by both day and night. If you’re lucky, you’ll catch Gubei’s nightly-but-weather-dependent drone-lantern show which inspires joy in even the most exhausted of adults! Mutianyu, Juyongguan and Jinshanling are also doable in a day from Beijing, as are ‘wild’ sections Jiankou and Huanghuacheng—though you might want to allow more time here, as these sections are not necessarily geared for tourism. Beijing is one of those rare gems of a city where you can enjoy contemporary boutique shopping and trendy bars one day and ancient wonders steeped in rich cultural history the next. In fact, said cultural history is so central to life in Beijing that it is literally that: the centre of the city. 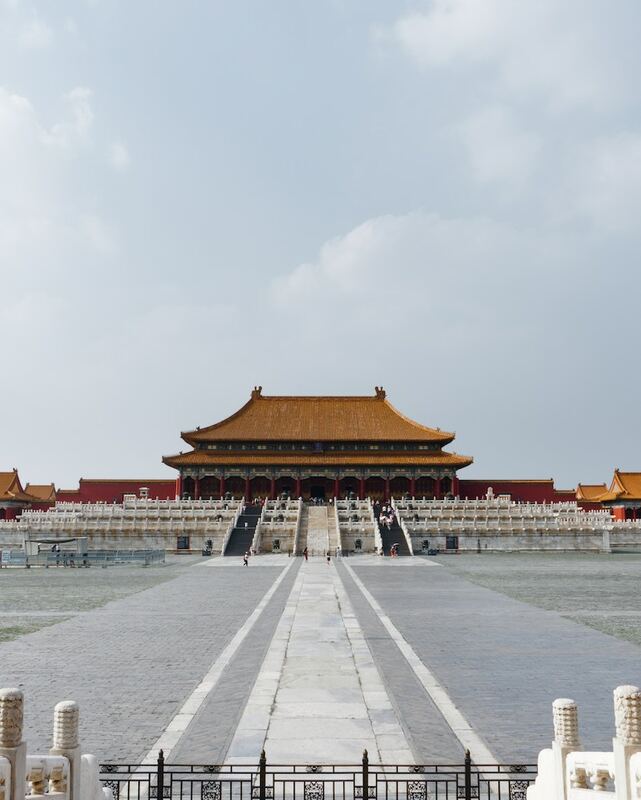 The entire city revolves around your first historical-tour stop—the Forbidden City, which is well worth seeing even despite the tourist hordes. Go early in the morning to make it a more peaceful visit, or, if you’ve only got a midday slot to give, cop yourself an aerial view of this elaborate palace complex by heading to the top of the adjacent Jingshan Park. Of course, a visit to the Imperial City wouldn’t be complete without a walk through Tiananmen Square and even a visit to the Soviet-inspired Mao’s Mausoleum, where the surreal sight of the former leader’s embalmed corpse acts as a reminder of where you are. Beyond the city’s historical crux, sites to see include the peaceful and vibrant Tibetan Buddhist Lama Temple. You’ll find this one by heading to Yonghegong street, and then following the all-engulfing smell of incense. As mandatory a stop in Beijing as the Great Wall or Forbidden City is the Summer Palace, former playground for past Emperors fleeing the unbearable heat of the old imperial city. Hilltop views, a massive glistening lake, tranquil gardens and a bevy of temples, pavilions, bridges and corridors to explore make this one of Beijing’s more enjoyable tourist haunts, without compromising the dosage of history. Round things out with a visit to the Temple of Heaven Park, an oasis of peace and Confucian design complete with all the arrangements typical of Chinese parks—obsessively straight lines, repetitive patterns, order and symmetry, all of which produce a surprisingly harmonising result. From traditional Chinese courtyard residences styled-up for Western sensitivities to all-out luxurious boutique hotels, the only hard part about finding a place to stay in Beijing is the part where you have to choose. Make yourself at home in your very own private courtyard residence at The Orchid, who offer both converted (and gorgeously appointed) hutong homes for privacy or the comfort of their original boutique hotel in the lively Gulou area—complete with a rooftop eatery that serves a delicious shakshuka, coffee and wine. Get a feel for local Beijing life at one of Beijing 161 Hotel's five design-focused boutique properties, set in the hutong area surrounding the Lama Temple, or really turn things up a notch by booking into The Opposite House, a striking hotel designed by Japanese architect Kengo Kuma, combining dramatic contemporary style with traditional Chinese accents. If you’re on a budget, Airbnb can actually be the best option—but make sure you get in well in advance of your trip to snag the hottest homes for the lowest price. Got some extra annual leave up your sleeve? Glamping on the Bolivian Salt Flats is going to be a glorious reality next year so book it in.